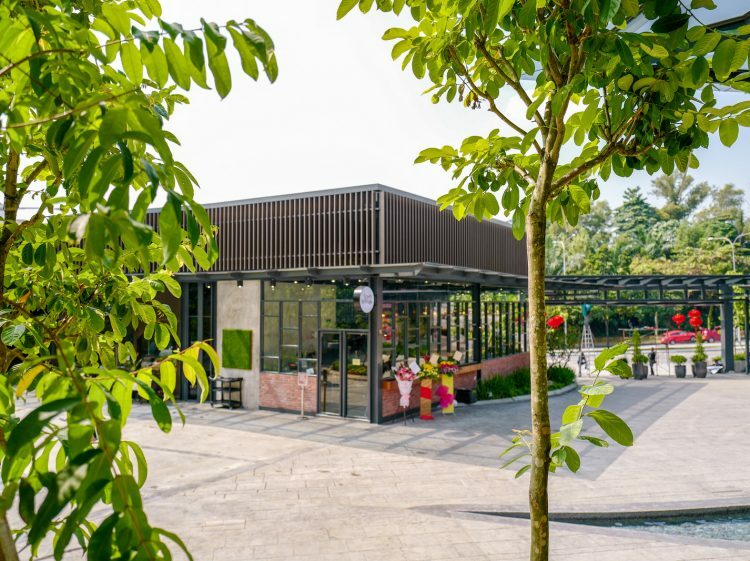 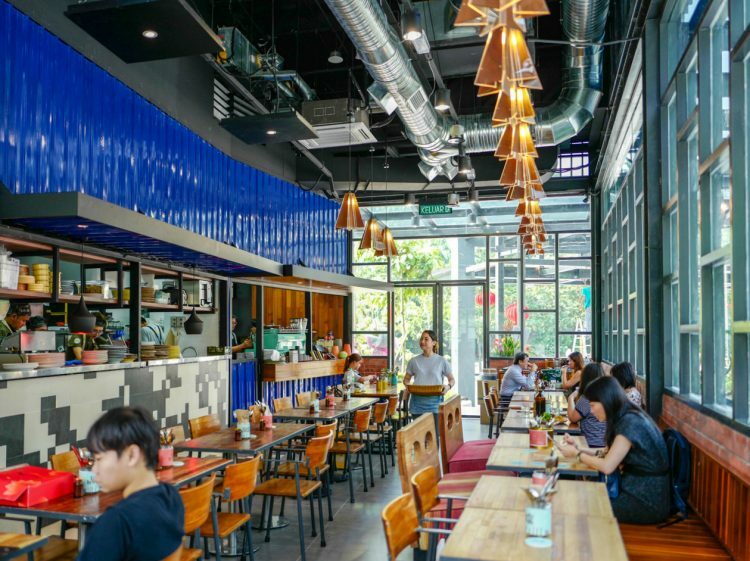 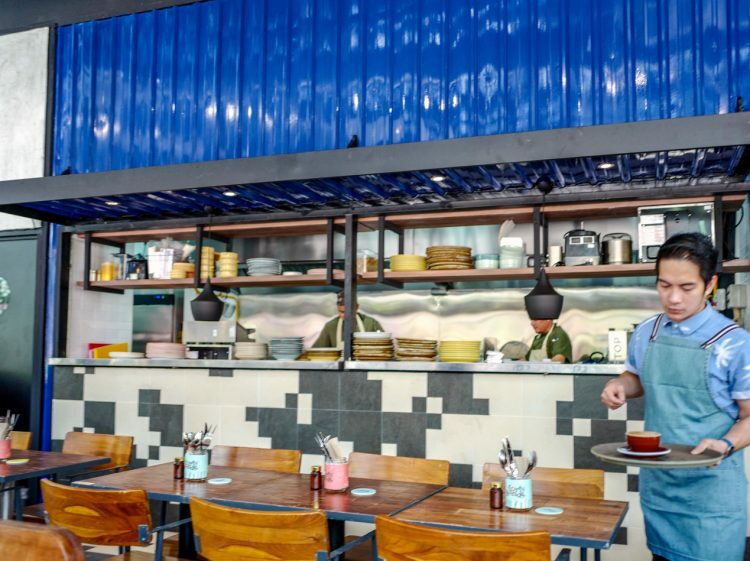 Singapore’s Forty Hands puts its best foot forward in KL, launching its first Malaysian offshoot this week in Bangsar South’s newly revamped retail-and-restaurant hub of The Sphere. 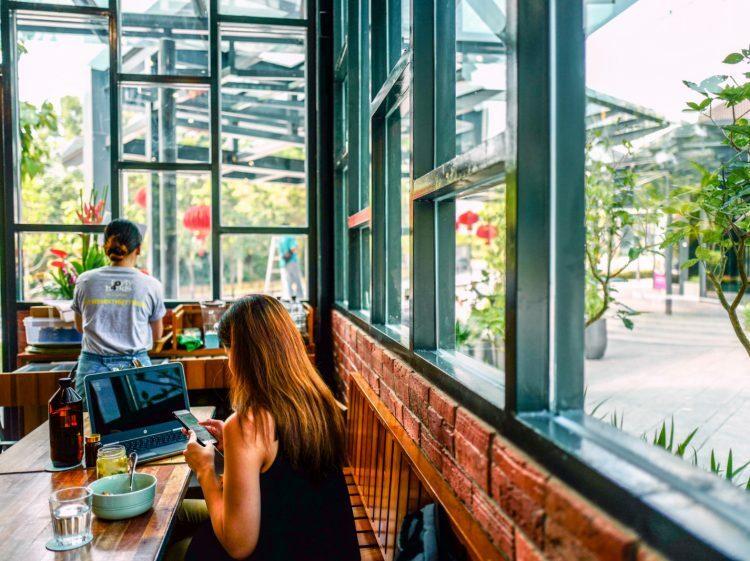 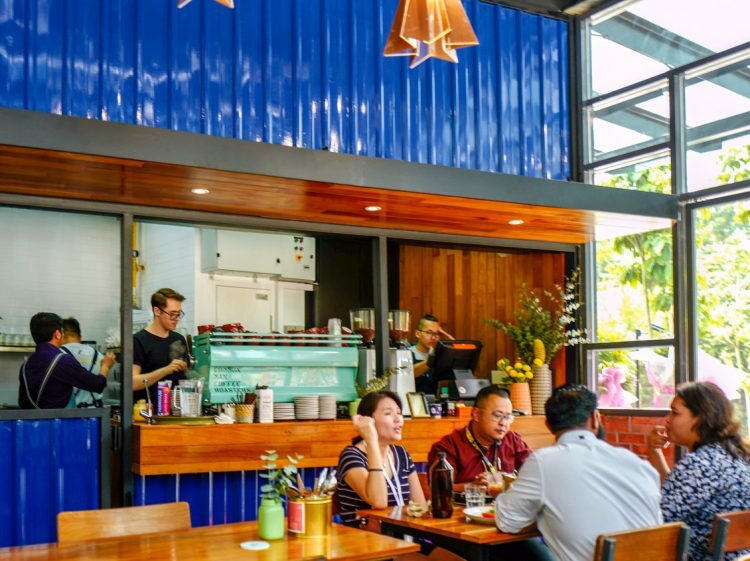 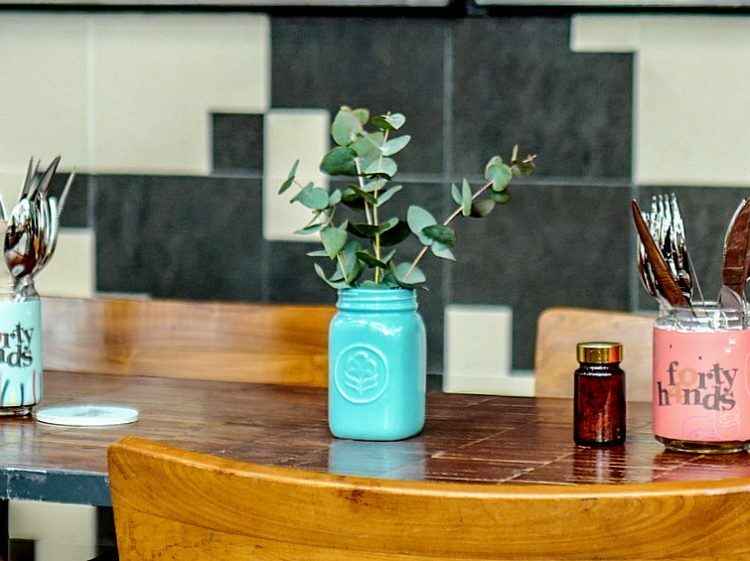 Having established itself as a cafe to reckon with since 2010 in Singapore’s Tiong Bahru enclave, Forty Hands is no novice in making customers happy, serving with a smile from start to finish, armed with a sturdy selection of specialities that span brunch and beyond. 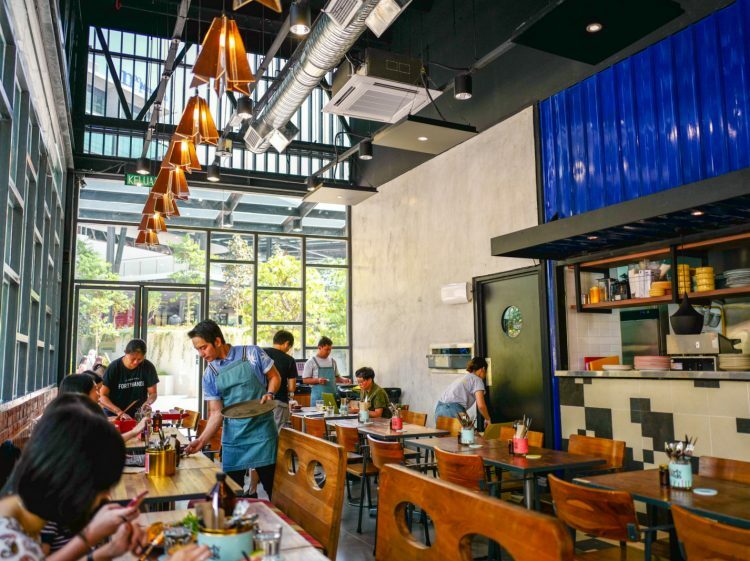 Expect a cheerfully packed house nearly every afternoon. 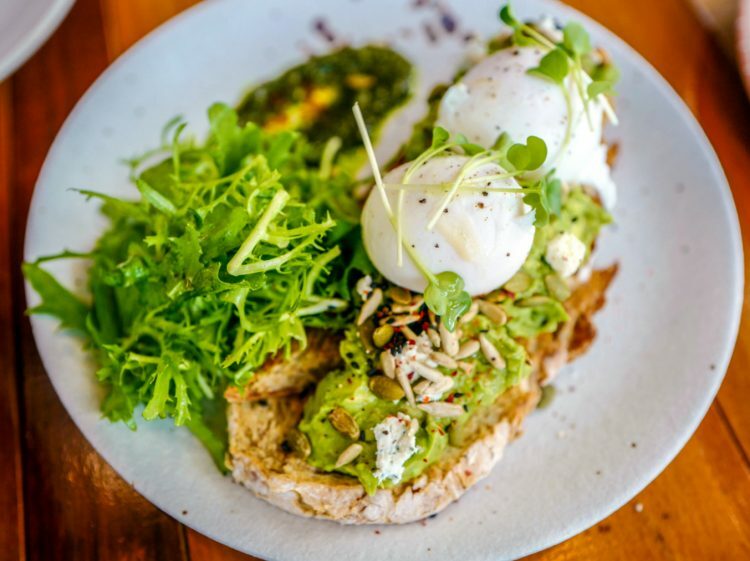 Two thumbs up for Forty Hands’ Smashed Avo On Toast, one of KL’s most satisfying interpretations, featuring fresh, creamy avocado thickly layered with coriander, cumin and dill feta over sunflower seed toast (RM22 for the basic toast; add RM6 for two poached eggs). 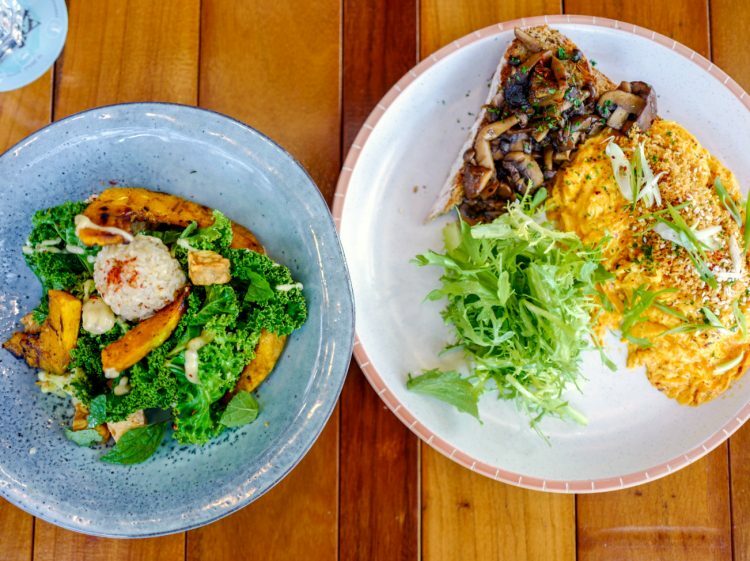 It might make you fall in love/lust with avocado all over again. 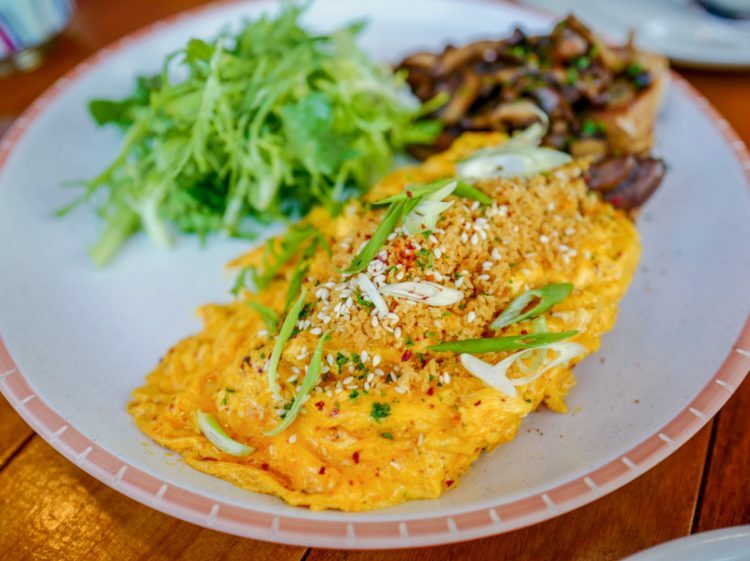 The chilli-infused free-range scrambled eggs (RM25) furnish a spicier kick than foreseen, but that’s a pleasant surprise. 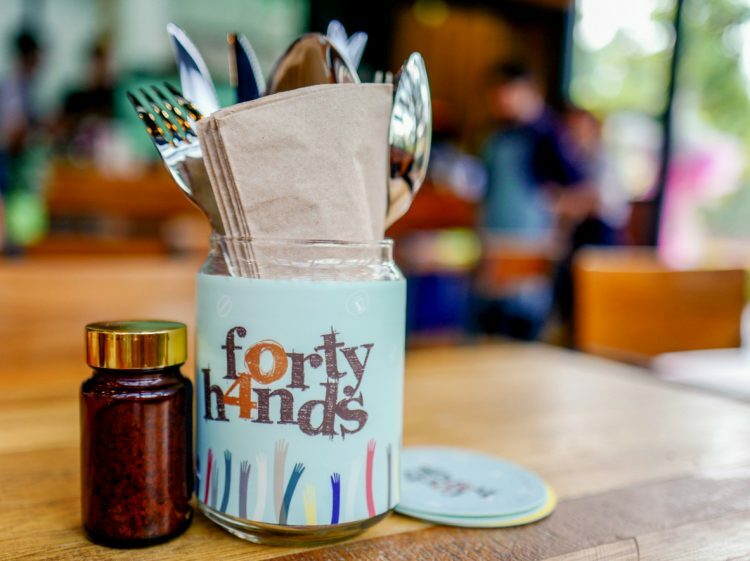 What we like about Forty Hands’ recipes is that everything is put together with thought and care, illustrated by the the scram’s companion of wild mushrooms spiked with aged balsamic, more nuanced in flavour than run-of-the-mill mushrooms slapped onto a breakfast platter. 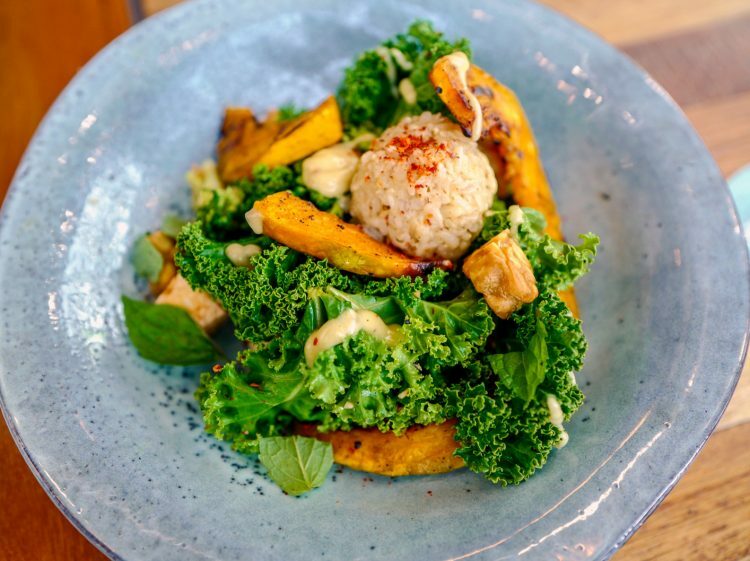 Even a nondescript-sounding Warm Veggie Salad (RM25) delivers more than expected – chopped kale sauteed in garlic is combined with grilled local pumpkin with nutmeg, seasoned brown rice balls, broccoli, parmesan, tempeh and fried tofu for a truly tasty, textured meatless ensemble. 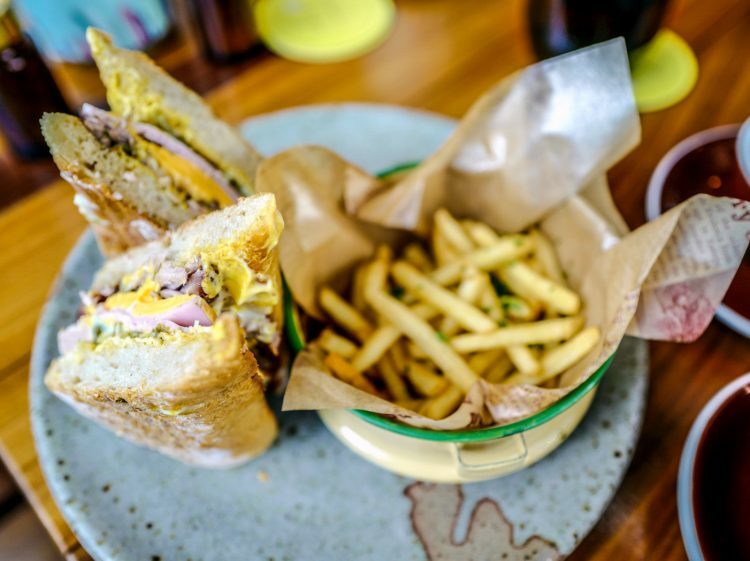 Another curveball: Much of Forty Hands Singapore’s menu has survived the trek into KL, including pork temptations like the hot-and-heavy Cuban sandwich with mojo-marinated roast pork, honey-smoked ham, mayo, mustard, jalapenos and gherkins in a crusty baguette (RM28). 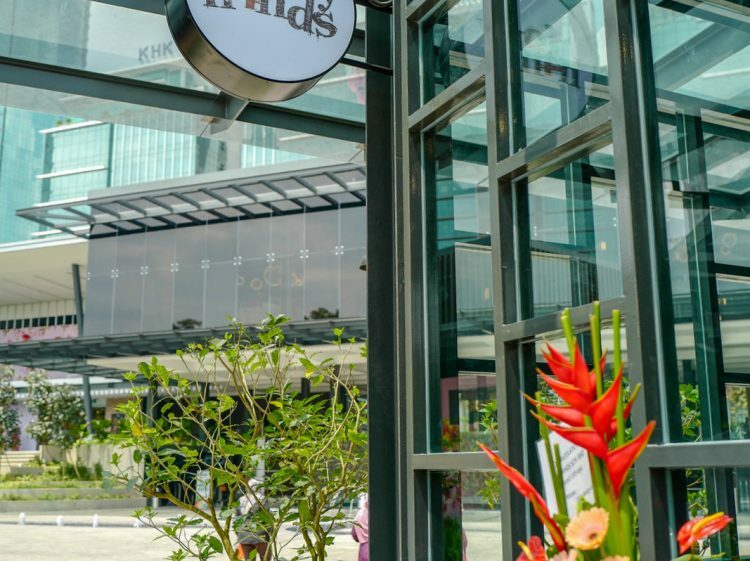 Note though that the cafe is currently in a soft-launch mode, so some signature items – the 40 Hands Falafel, Kong Bah Pao and Salmon Hash – will only be unveiled later this month. 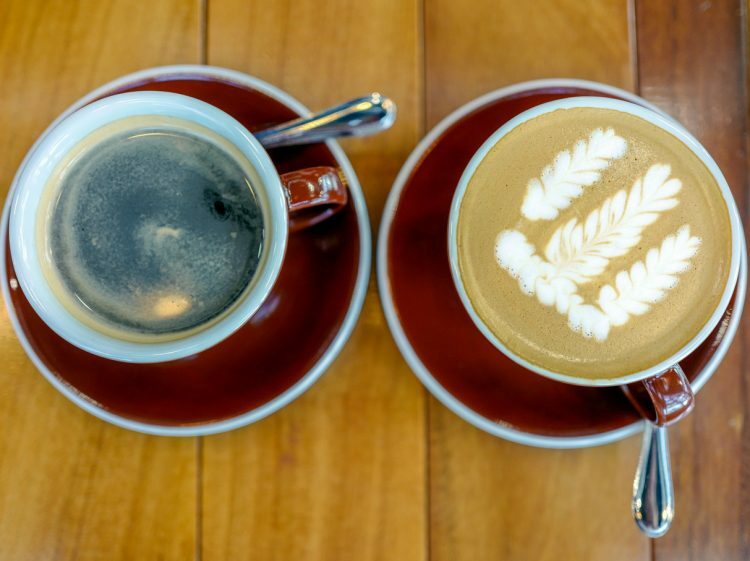 Coffee is courtesy of Forty Hands’ sister brand, Common Man Coffee Roasters – both the long black (RM8) and flat white (RM10) hit the spot, relying on Guatemalan beans from the San Francisco Cotzal’s Brol family farm. 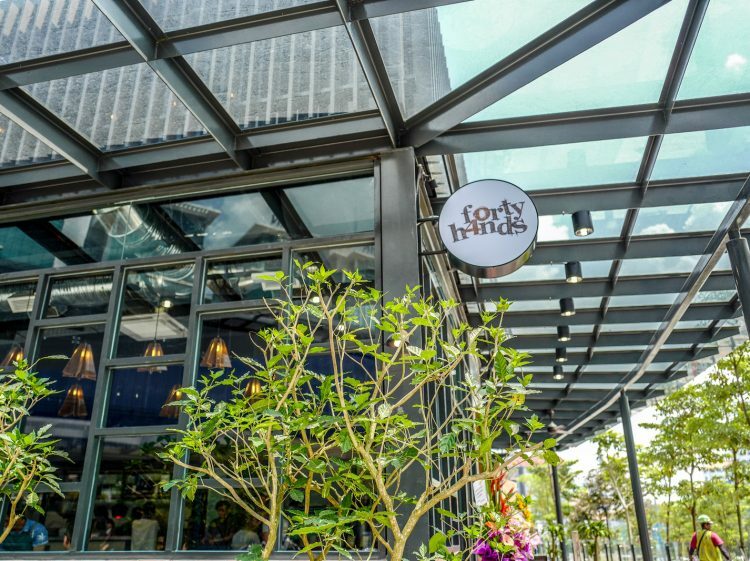 Find: View directory for Forty Hands KL here.